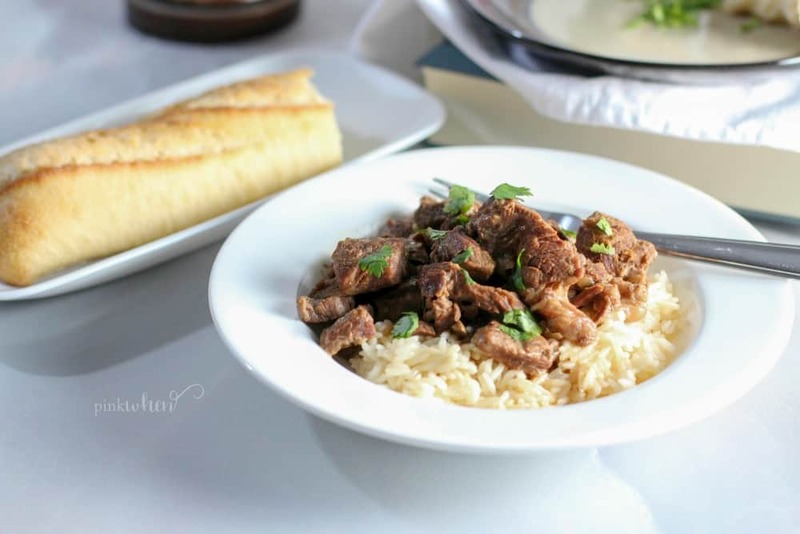 This Easy Instant Pot Beef Tips and Rice Recipe helps with those nights when I am in a time crunch. It also helps that it is so delicious, and it’s really one of our favorites. The meat is moist and tender and the flavor is really good. 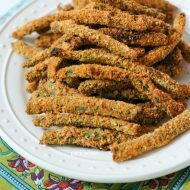 You will definitely want to make this recipe on a regular basis, and it’s often part of our monthly meal plan. Only a few minutes to prep and then the rest is done for you. This is the perfect recipe for those busy nights when you are struggling for extra time. Are you ready to learn how to make the most tender beef tips and rice? Keep reading for our step-by-step instructions. When I was growing up we had a few meals that were regular menu items. We wouldn’t usually go much longer than 2 weeks without having one or the other. You know what I am talking about, right? Spaghetti, Pizza, pot roast, fried chicken, and beef tips and rice were always on the list at our house. This is one of our favorite recipes because it doesn’t take longer than 30 minutes of cook time in the Instant Pot. Sauté the onion for 5 minutes with the beef tips and then manually cook for 25 after adding the other ingredients. 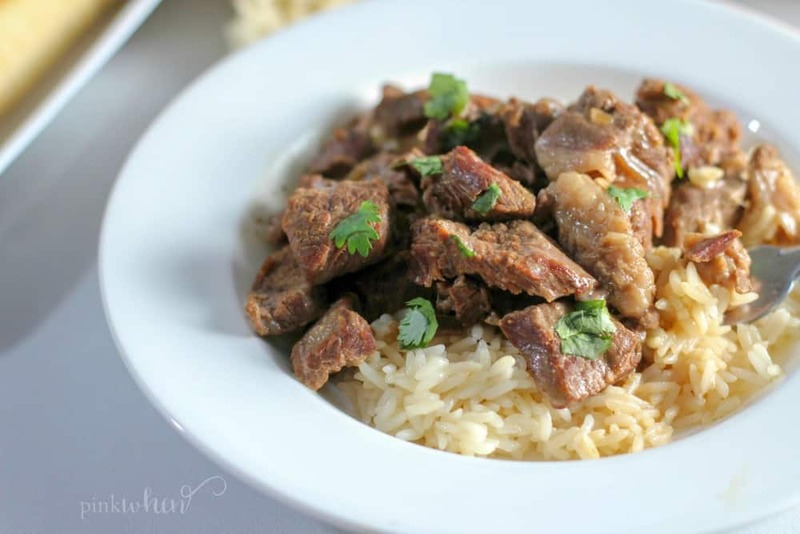 We definitely have these beef tips and rice on a regular basis because it is such a quick and easy recipe. The Instant Pot really makes this recipe good because the beef tips are so tender. What ingredients do I need to make Instant Pot Beef Tips and Rice? I try to keep things super simple. I never want to use more than 5 ingredients if possible. This is one of those recipes that really doesn’t take long to make and doesn’t take a lot of ingredients either. I like to use Dale’s seasoning sauce as one of those ingredients, but it might not be available in your area. If you don’t have that available, you can always substitute it for Worcestershire sauce and black pepper. 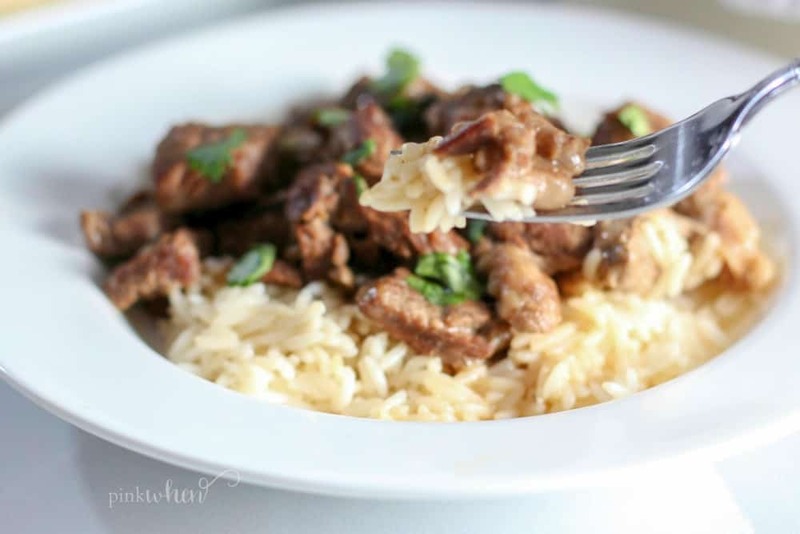 What is the best way to make Beef Tips and Rice in the Instant Pot? 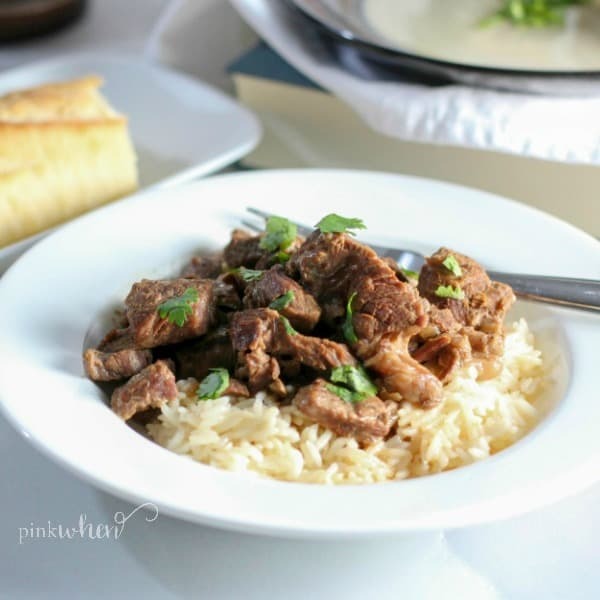 There are several different ways you can make beef tips and rice in the Instant Pot but I have found that I really like this recipe the best. It doesn’t take long, and it’s just long enough that I can fold a load of laundry or get one of the kids bathed before my Instant Pot is BEEPing and letting me know they are done. It’s only 30 minutes of cook time. The trick is to sauté the onion and beef tips first before the manual cook for 25 minutes. Why do I think this is the perfect beef tips recipe? I have honestly never had beef tips as tender and moist as the ones that I make in the Instant Pot. This kitchen gadget really did take this recipe up a notch in my opinion. 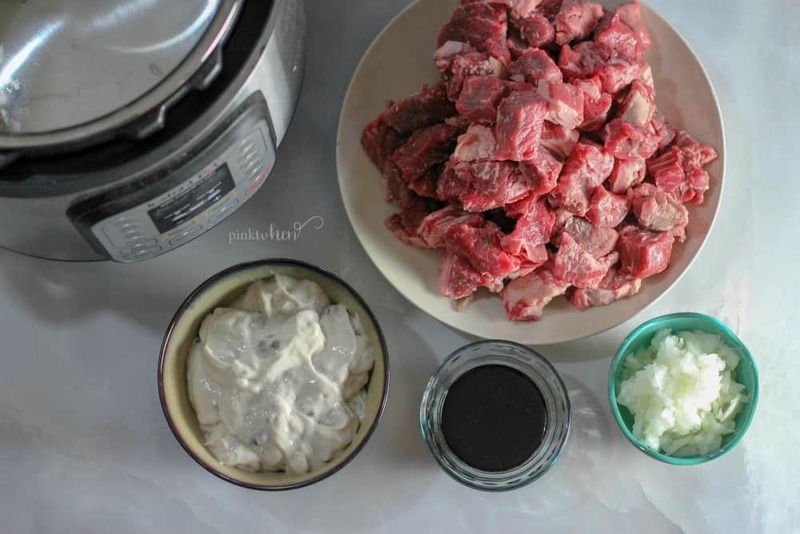 How long will it take to make beef tips and rice in the Instant Pot? 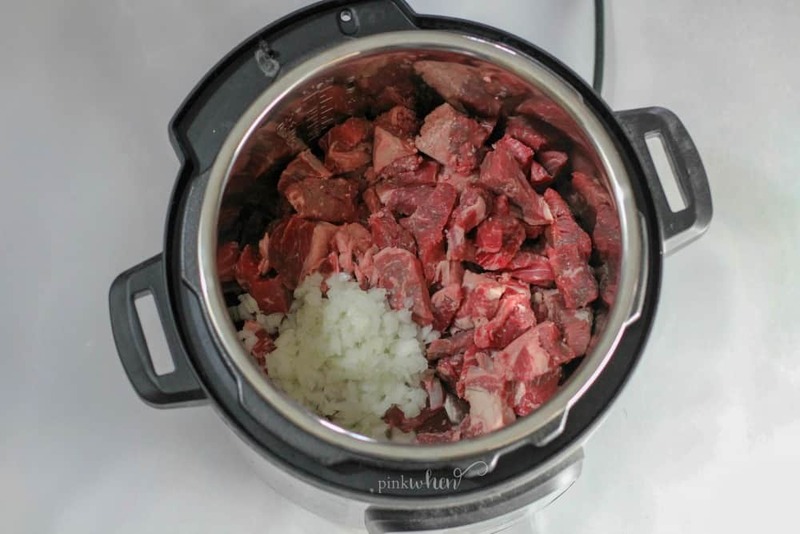 What is the cook time for Instant Pot Beef Tips? What is the actual start to finish cook time for Instant Pot Beef tips? I would say that the actual time from start to finish is going to be about 45 minutes because you do have to allow time for the pot to get under pressure. If you are planning on making a side or try and step away from the Instant Pot while it is cooking, you will have about 40 minutes. 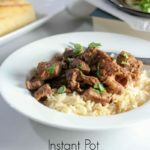 How do you make Easy Instant Pot Beef Tips and Rice? 1. First, you will saute the chopped onions and beef tips for a few minutes in olive oil until lightly browned. 2. Once finished, add the remainder of your ingredients and then close the lid to seal. Make sure the vent is also set to seal. First, saute the onion and beef tips in oil. 3. Set the Instant Pot on manual and set the timer for 25 minutes. 4. Once you hear the beep and the time is finished, allow your beef tips to naturally release for about 10 minutes and then carefully manual release the remaining pressure. If you have the time, let the beef tips and rice naturally release for a full 20 minutes before serving. Then enjoy the most tender beef tips and rice recipe, ever. 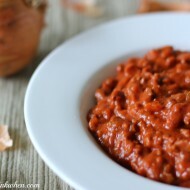 One of my other favorite things about this recipe is the GRAVY! I love how perfectly the gravy turns out in this recipe. However, if you prefer a thicker gravy, add a little cornstarch to water and mix it into the Instant Pot. Give it a couple of minutes and it will thicken up nicely. Serve over a bowl of rice and ENJOY! 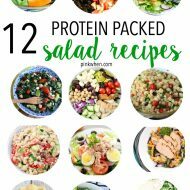 You might also like this list of easy recipes for dinner or these other Easy Instant Pot Recipes. Not everyone has an Instant Pot, and I totally get that. If you want to make this recipe in a Crock Pot use the same ingredients, and cook on low for 8 hours. I hope you enjoy this easy and quick dinner idea. 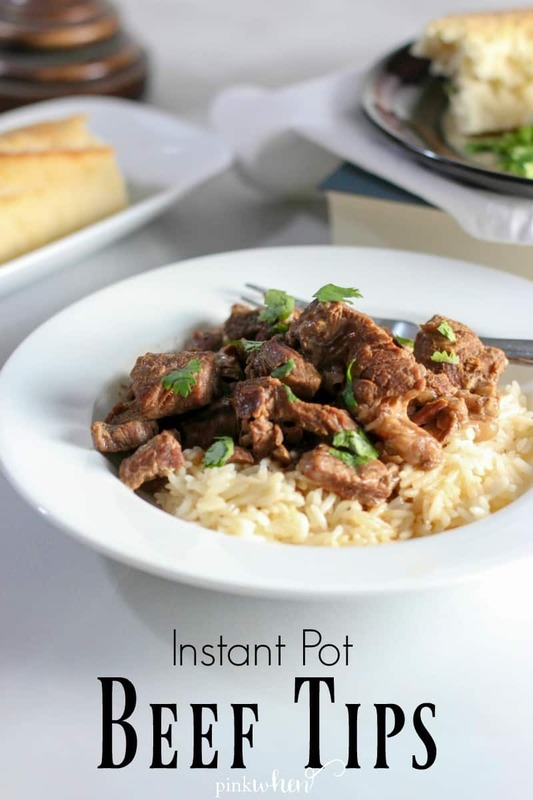 The delicious Instant Pot Beef Tips and Rice Recipe will have the dinner crowd raving and asking more. Set Instant Pot to the saute setting. Once warm, add olive oil, beef tips, and onion. Stir and sauté for 5 minutes or until meat starts to brown. Add water, Dale’s, and cream of mushroom soup, and garlic powder. Stir to mix well, and then cover with lid. Cook on Manual Setting on High Pressure for 25 minutes. It will take a few minutes to come to pressure. Once done, allow to naturally release for 20 minutes. Serve over rice (or sub noodles or mashed potatoes) and serve with french bread to sop up the gravy. TIP: To make this Keto friendly, omit the cream of mushroom soup and sub beef broth. Serve over cauliflower rice rather than regular rice. Instant Pot Beef Tips the most moist and tender if you sauté with onion for 5 minutes before a manual cook time of 25 minutes. Substitute cream of mushroom soup for beef broth and Worcestershire sauce to make this Keto friendly. Substitute Dale's seasoning sauce for Worcestershire sauce and black pepper. Add a little cornstarch to the gravy after cooking if you prefer your gravy to be thicker. I loved making this for my family!